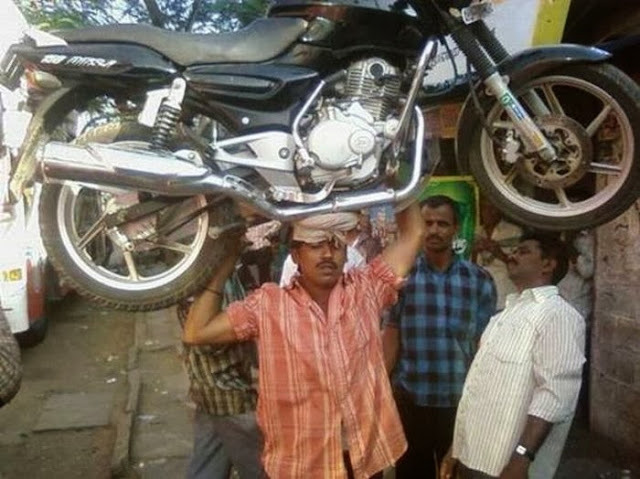 Do you think this man decided to become famous by using this trick? Do not guess ... 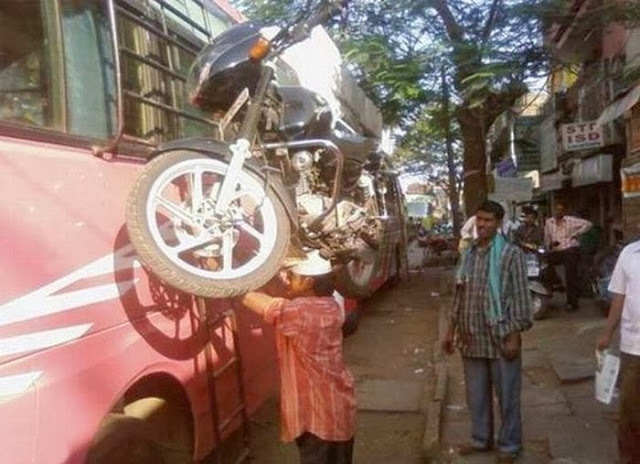 He just simply loader, and this for a living. 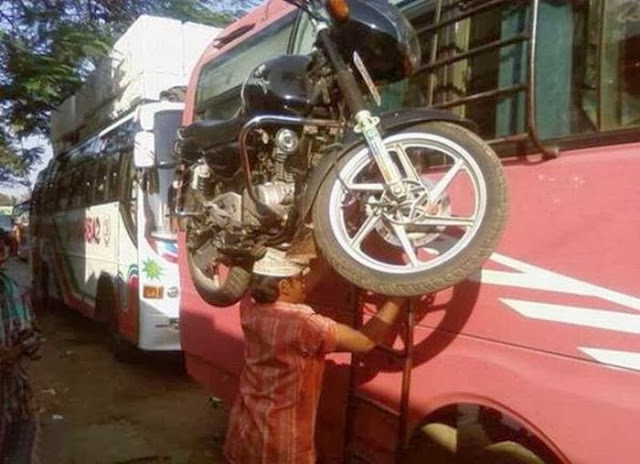 This person can be found on the road or railway stations in India. 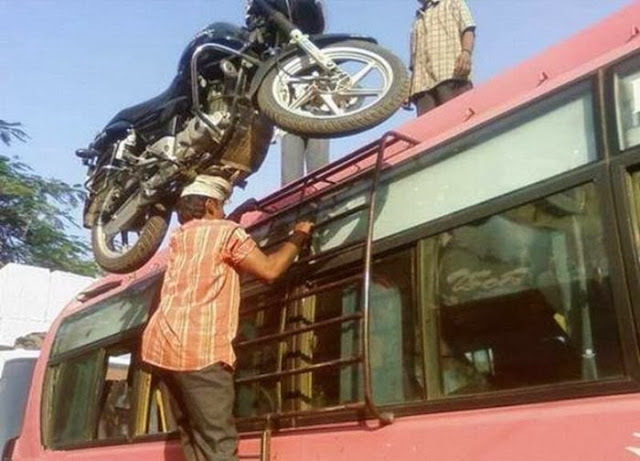 It is less than $ 2, raise the heavy luggage on the roof of buses with the head, in this case a motorcycle, weighing not less than 150 kg! Just think, weighing 150 kg. On the head!